Frustrated by low returns on your Cash or Stocks & Shares ISA? When you transfer your ISA to us, our experts spread your investment over thousands of global holdings, aiming to maximise returns and reduce risk. Transferring an ISA to us is free and it only takes around 10 minutes to give us the details we need, after which we do all the work for you. We’ll assess your suitability for our service, not the suitability of any transfer. Watch our short video to find out how hard your money will work in our Fully-Managed Investment Portfolios. With access to 9,000 experts in 200 locations around the world, our team makes the investment decisions for our Fully-Managed Investment Portfolios . 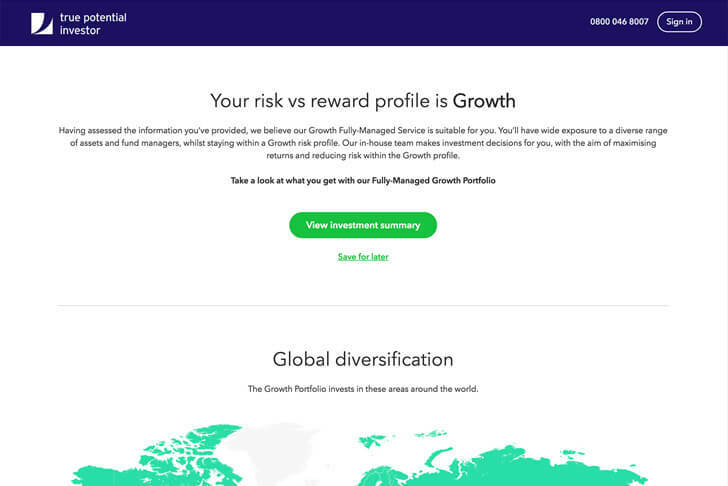 Our access to a global team of experts with thousands of holdings allows us to blend multi-asset investment strategies and create unique opportunities for growth. With our ISA transfer service, we’ll assess your personal circumstances and attitude to risk to offer you a suitable Fully-Managed Investment Portfolio Service. Use our calculator to see how your investment might grow in a Stocks & Shares ISA. How much do you want to transfer in total? Help?? How much can you invest each month? Help? ? How long do you want to invest for? Help?? 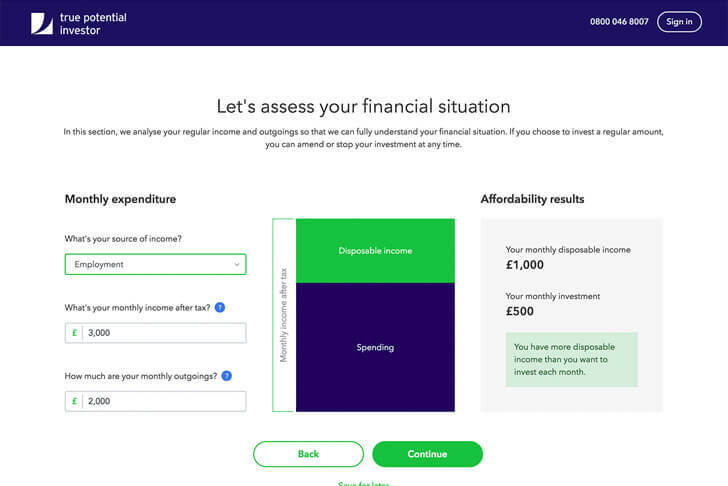 This calculator shows an illustration of what your investments could be worth and not a projection of what your investments will be worth. The calculator offers three alternative growth rates of 2% (Lower), 5% (Intermediate) and 8% (Higher). The actual annual growth rate will depend on your investments and how they perform. The calculation takes into account our average annual fee of 1.16%. It doesn’t take into account the impact of inflation, which will reduce returns, and assumes you only make the contributions set out on this page. Remember, the value of investments can fall as well as rise so you could get back less than you invest. Investing in stocks and shares (often called equities) means being comfortable with accepting some risk to the value of your investment. 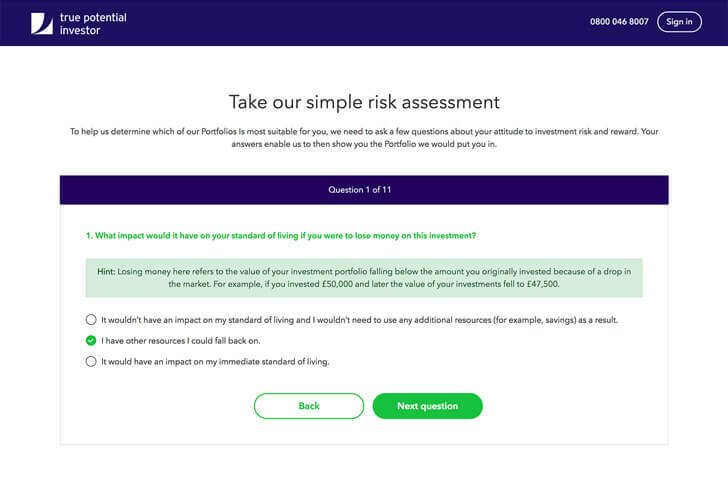 Our assessment helps show you what level of risk is suitable for you, based on how long you want to invest for your and attitude to risk and return. Typically, the longer you plan to invest, the greater chance your investment has of outperforming cash. Join the thousands of people already investing with True Potential Investor. We have access to 9,000 experts in 200 locations around the world. Our expert in-house team manage your investment, so you can leave all the hard work to us. We won’t charge any fees for the transfer when you transfer to one of our Fully-Managed Investment Portfolios. Our app has everything you need all in one place so you can track your investments 24/7 from a range of devices. 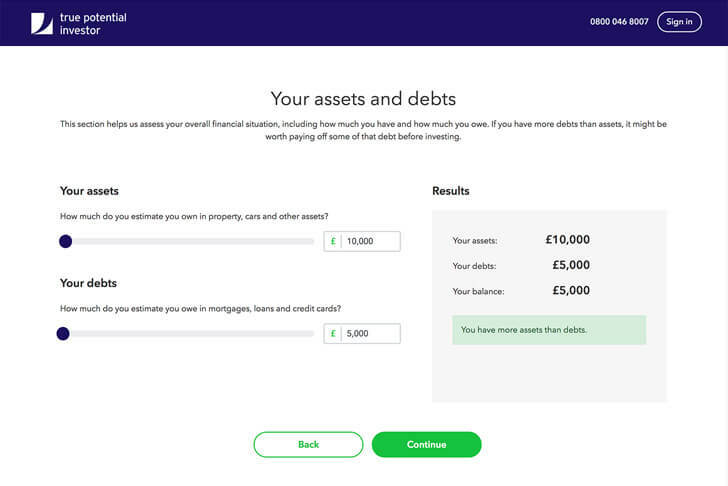 Unique to True Potential Investor, impulseSave® is a world-first investment feature that allows you to top up your accounts on the go from as little as £1. It only takes ten minutes to set up an account with us. Tell us a few details about you and your investment goals and we’ll do the rest of your ISA transfer. First, we’ll ask you how much you’d like to transfer, if you’d like to add a monthly investment and how long you plan to invest for. You can change your mind about your monthly amount later and with a Stocks & Shares ISA you can withdraw at any time. We’ll ask you how much you earn and spend each month. This is to make sure you can afford to invest, including any monthly amount you’ve chosen. 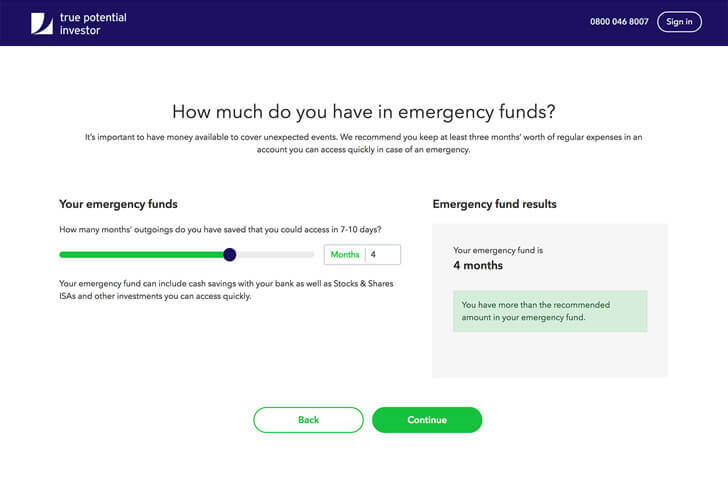 We recommend you have around three month’s expenses saved up for emergencies as this can help you avoid taking on short-term liabilities for the unexpected. If you don’t, our Stocks & Shares ISA and General Investment Accounts could be the place to start, as you can access your money in 7-10 days. We’ll ask you how much you have in assets, such as a home, savings or other investments. We’ll then balance this against any liabilities you have, for example a mortgage, loan or credit card. If you have more debts than assets it might benefit you to pay these off before investing, especially if the debt is expensive. It’s important you understand how investing with us works, including how we manage your money and the potential risks involved. Depending on your experience, we’ll show you some simple explanations to help you learn more about our service. 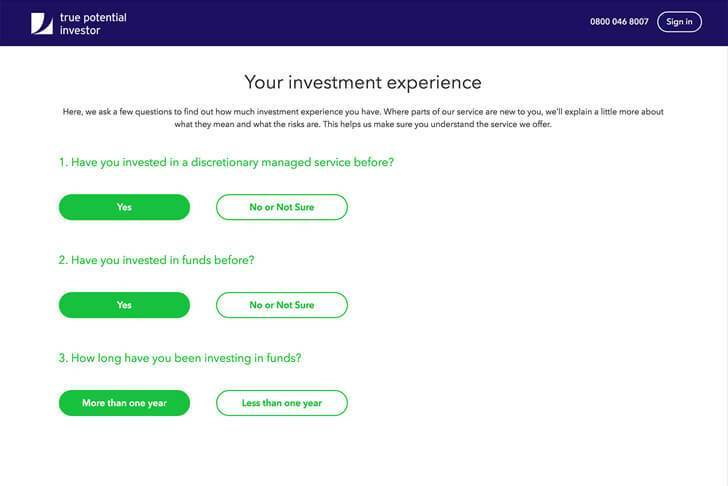 We’ll ask you 11 multiple choice questions about how long you plan to invest for, how you might later withdraw from your account and your attitude to risk and reward. There are no right answers here and we have a range of Portfolios to suit many different types of investor. Based on your score in our risk assessment, we’ll show you a Portfolio that matches your result. You’ll see where in the world we’d spread your money, the fund managers and asset classes we use, and the total cost to you. Our clients trust our Fully-Managed Investment Portfolios with over £4 billion of their assets, so it’s no surprise they recommend us to others.  "The service proposition offered by True Potential via internet and mobile apps is streets ahead of the competion with 24/7 valuations and ability to impulseSave for as little as £1 to any amount." "If I’ve ever got any queries about my investment, the replies are within a couple of hours. The app they have is great and allows easy tracking of my investment." "I’ve been using True Potential Investments for a number of years. I can analyse and monitor my investments through the investment portal and find the impulseSave option an excellent tool. Highly recommended." What kind of ISAs can I transfer? You can transfer a Cash or Stocks & Shares ISA to us. We don’t currently accept transfers from Lifetime or Help-to-Buy ISAs. How does transferring affect my ISA allowance? ISA transfers don’t impact your annual ISA allowance. If you’d like to know more about how transferring an ISA works, call us on 0800 046 8007. 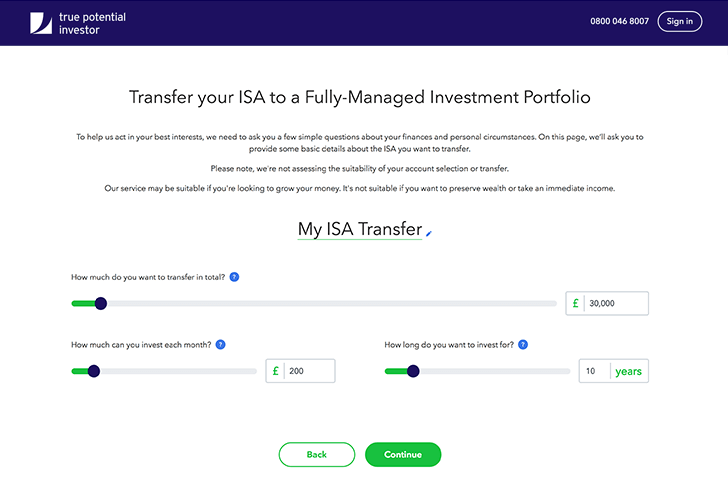 What information do I need to transfer my current ISA? To carry out an ISA transfer, all we need is the name of your ISA provider, your account or policy number and an estimated value. If you’re not sure how to find any of these, call us on 0800 046 8007 and we’ll be happy to help. With investing, your capital is at risk. The value of your investments will rise and fall at times and you could get back less than you invest. True Potential Investments is registered in England and Wales as a Limited Liability Partnership No. OC356027. Head Office: Gateway West, Newburn Riverside, Newcastle upon Tyne, NE15 8NX. impulseSave® is a registered trademark of True Potential Investments LLP. Pillar 3 Disclosure | Copyright © True Potential Investments LLP. All Rights Reserved. True Potential Investor is a trading name of True Potential Investments LLP, which is authorised and regulated by the Financial Conduct Authority, FRN 527444. Need help? Chat to one of our experts. We're online 8am - 8pm weekdays. Welcome to True Potential Investor. Fill in your details and we’ll connect you to one of our friendly support experts. Thank you, we’re connecting you now. Please note, we won’t give any financial advice during our chat. If you have any issues, call us on 0800 046 8007. We record calls for regulatory, training and quality purposes. How was our service? Leave a star rating and an optional comment before you go. Search our FAQ for answers to common questions. You can also send us a message and we’ll get back to you as soon as we can. Or, if you’d prefer to speak to someone, our support team is available 8am to 8pm weekdays. If you invest in a Stocks & Shares ISA or General Investment Account, you can withdraw at any time. It takes around 7 working days to sell your investment and transfer the money to your bank account. If you invest in a pension you can only with draw funds from the age of X. All our operators are away right now, but we are always happy to help. If you can't find your answer on our FAQ, you can drop us a message using the button below and we will come back to you as soon as possible. We are happy to help, thanks. You have already started configuring your investment. You can continue where you left off, or start a new investment.